John Asbury describes himself as an “accidental banker.” While attending Virginia Tech, he found his calling in a summer job at United Virginia Bank in Radford, his hometown. After graduation, he joined Wachovia Bank & Trust in Winston-Salem, N.C., beginning a banking career that has led to a variety of high-level banking positions in cities all over the country. “I have lived in every time zone in the continental United States,” he says. 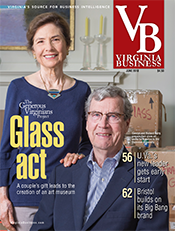 Asbury’s employers included some of the biggest banks in the country, but he never forgot the Virginia-based regional banks that once were a major force in the commonwealth’s economy. All of them were acquired by larger, out-of-state banks. For example, Richmond-based United Virginia Bank, which later changed its name to Crestar, was acquired by Atlanta-based SunTrust Banks Inc. in 1998. 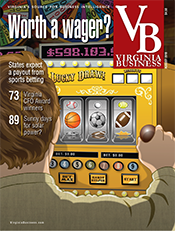 “I witnessed the six great Virginia regional banks fall like dominoes during the course of the ’90s,” Asbury says. He didn’t expect to return to Virginia, but an opportunity arose when Richmond-based Union Bankshares, the parent company of Union Bank & Trust, was looking for a successor to Billy Beale, its longtime CEO. Under Beale, Union had grown from a small bank in Caroline County to become one of the largest community banks in Virginia. 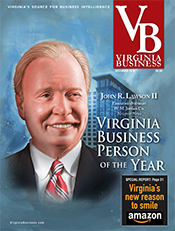 “Billy Beale had been arguably the most successful consolidator of small Virginia banks,” Asbury says. 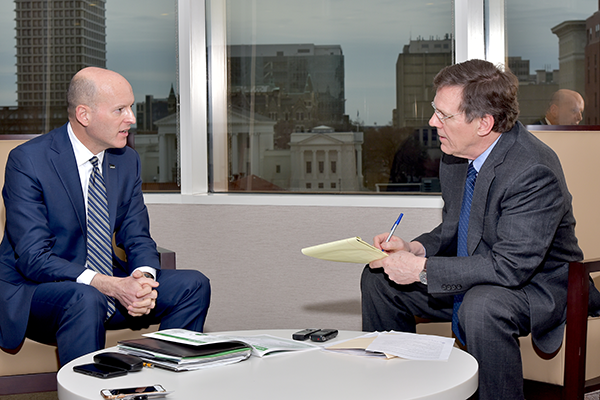 In Union, he saw an opportunity not only to return to his home state but also the chance to create the first Virginia-based, statewide regional bank since the 1990s. “My vision from the time I began to talk seriously with the board is: You have an opportunity to re-create something like Crestar, something that was lost nearly 20 years ago,” he says. 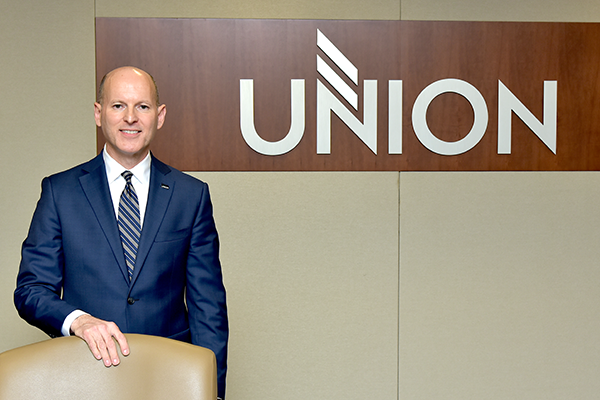 Since Asbury joined the company in late 2016, Union has completed two mergers — with Richmond-based Xenith Bank and Reston-based Access National Bank — which have more than doubled its assets to $16.8 billion. 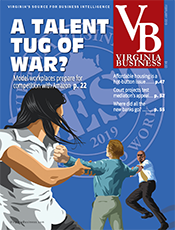 “Strategically [Access] was the last piece of the puzzle to complete my vision,” of a statewide Virginia-based bank, Asbury says. Not only did Access give Union a significant presence in Northern Virginia, it also bolstered Union’s capabilities as a business bank. 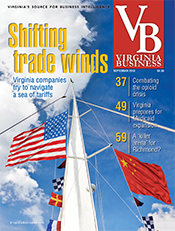 The mergers have resulted in a network of 155 bank branches throughout Virginia and in parts of Maryland and North Carolina. “Asbury has really built a great franchise ... that can’t be replicated,” says Laurie Havener Hunsicker, managing director and research analyst with Compass Point Research & Trading LLC in Washington, D.C. To avoid potential confusion with other banks with similar names (United Bank in Northern Virginia and Union Bank of Greenville, S.C., in North Carolina), the company plans to rebrand itself as Atlantic Union Bank in May. 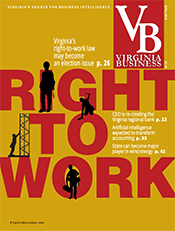 Union’s emergence as a regional bank comes at a time of major change in Virginia’s banking market. Atlanta-based SunTrust and Winston-Salem, N.C.-based BB&T Corp. are merging. The combined bank, which will be based in Charlotte, N.C., is expected to vault ahead of Wells Fargo & Co. to capture the largest banking market share in Virginia, in terms of deposits. The merger could result in the closing of hundreds of BB&T and SunTrust branches. About 740 of the banks’ 3,100 existing branches are located within two miles of each other. Today, when Asbury looks out of the window of Union’s boardroom on the 11th floor of Richmond’s James Center, he sees a reminder of the type of bank he is working to re-create. 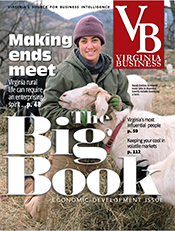 Virginia Business: When you came back to Virginia, was the idea of creating a regional Virginia-based, statewide bank your idea or was it something that Union was already thinking about? In my wildest of dreams, I would not have thought that just under two and a half years into the job, we would’ve done it. Phase one of the grand plan is essentially complete in the sense that we’ve now re-created the great Virginia regional. When people ask me, “Tell me about Union.” The first thing I do is a point to the geographic franchise that looks a lot like Crestar. Yes, we have a small presence in Maryland, and we have a small presence in North Carolina, but this is principally a Virginia bank. There’s been nothing like this since Crestar was acquired by SunTrust. This is a really important point. You can’t replicate this franchise. This is the last chance for Virginia to have a statewide, independent regional bank. There aren’t enough small banks left to where you could sew them together to re-create another one, and that’s not lost on me. There’s a lot of market power. Union is unusual as a now-$17 billion-asset, principally one-state bank. It’s not unprecedented, but it is very uncommon. If you look at other mid-sized banks like us, they’re usually scattered over multiple states. Our strategy has been pretty much one of focus and concentration to be, irrefutably, Virginia’s bank. 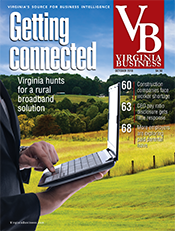 VB: What do you think the merger between SunTrust and BB&T will do to the banking market in Virginia? Asbury: [The combined BB&T-SunTrust bank] moves into the No. 1 slot in Virginia [in terms of deposit market share], Wells Fargo No. 2, Bank of America No. 3. Currently, BB&T is two and SunTrust is four. Union moves into the No. 4 slot. This is one of the largest mergers in the history of United States banking. This is enormous. This will be a multiyear disruption of the banking landscape. Now, these are smart people; they’ll do as good of a job as possible of putting [the two banks] together, but you have now what will be pro-forma the sixth-largest bank in the United States. They will have dominating market share in Virginia. [The merger] doesn’t change our strategy. It validates our strategy. You need to compete with these guys. You’ve eliminated one major competitor, and you’ve introduced a disruption that will take years to play out. This will create opportunities for us because we’ll be capable of running with them. 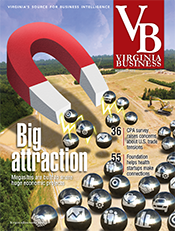 VB: Why does Virginia need a regional bank? Asbury: We think it needs a regional bank because we are Virginians, and we live in these markets. 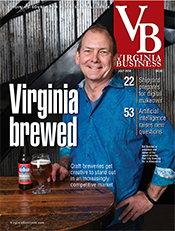 We’re making decisions in these markets, and our franchise is principally a Virginia franchise. … We’re not making trade-offs across multiple states, as the largest banks are. Our relationships are here. Something I’m very proud of is that, when I joined the company and made the rounds around the state, I had people say to me, unsolicited, “When times were tough, Union Bank stood with me.” I’ll never forget that. VB: You talk about going head to head with the big guys. They have got huge lending capacity. How do you compete with them given that disadvantage? The point is that we’re now large enough to meet the needs of most businesses … Not large global corporations. There are a couple of those around. We’re not going to be able to meet their needs. You know what? No one bank meets their needs anyway. They have multiple banks in the relationship. This was my point. 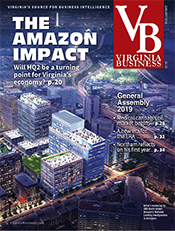 There’s a reason why the Virginia businesses, for the most part, banked with [Virginia regional banks such as] Signet, Sovran, Crestar and First Virginia back in the ’90s because those banks were big enough to meet their needs. Most of those businesses weren’t so large that they had to go to New York or Chicago or somewhere else. For our strategy, which on the business side is small- to mid-size businesses, we’re more than large enough, and that’s a really good thing. On the consumer side, it matters because you’ve got to be able to afford the investment and digital technologies [such as] mobile banking. Cybersecurity is frightening; when people ask me, “What keeps you up at night? What are you most concerned about?” Any good bank CEO should say, “Cybersecurity.” I say that not because I’m not confident in our defenses; I say it’s simply because it’s the great unknown. Having run a $2-billion-asset bank I can tell you, I take greater comfort in the resources we have in a bank this size, simply because there’s more revenue flowing through the system. We’re able to spread the fixed cost of technology and infrastructure over more customers, and therefore, we are better able to invest in technology, in product offerings and defenses. VB: [Turning to Union’s rebranding as Atlantic Union], this was because you had United Bank in [Northern] Virginia and Union Bank out of [Greenville, S.C.], in North Carolina, correct? Asbury: Yes. There are 13 banks in the United States that use the name Union Bank. This is really to establish clarity … [In comparing United Bank’s logo to Union’s], the first three letters are the same, all caps black lettering, starts with a U, short name. It’s really an interesting thing. I’ve done double takes when I’ve been in Northern Virginia passing their branches. We were down in an investor conference meeting with institutional investors, and there was a group that doesn’t currently own our stock that was meeting with us. First thing they said to me is, “I see your branches all over Northern Virginia.” I said, “No, you don’t.” The bottom line is that we need our customers to recognize that we are the same company anywhere in the system, from Kitty Hawk, N.C., to Northern Virginia to Wytheville, Va.
We researched this [rebranding] for over a year. We actually looked at it and intended to rebrand Union when we acquired Xenith to get around the North Carolina issue. Quite candidly, we ran out of time … As it became clear that [the Access National Bank merger] was going to happen, we’d been working on this in the background, and we took it to the front burner. We looked at everything, looked at hundreds of possibilities. The only thing that I felt strongly about is: I did not want an engineered name. I felt like it really needs to be an actual word that one would find in the dictionary that had meaning … We researched this with customers and other Virginians. The more we looked at it, the more we began to conclude … having been Union nearly a hundred years, we didn’t want to move away from that. I personally felt that we needed to honor our history and legacy as Union Bank. We also needed something that was more descriptive of who we are today and the markets we serve. As I described our geographic footprint, it is the mid-Atlantic. That’s the best descriptor, and so we thought Atlantic makes sense … This is uniquely us. There’s only one Atlantic Union Bank in the United States.